Whether in the home or in the workplace, failing appliances can cause huge disruption to your day. Often times, we don’t realize just how heavily we rely on our appliances to make our lives easier and help us get through our daily tasks with ease. And, when your appliance lets you down you need a trusted, competent and knowledgeable company that specializes solely in appliance repair in Las Vegas to get you back on track. Here at Appliance Repair Experts, we understand how frustrating it can be when your appliances let you down. There’s nothing worse than your refrigerator packing in and leaving you with a pile of fresh produce and nowhere to store them. Or your cooker lets you down when you’re getting ready to prepare a delicious meal for you and your friends. When things go wrong with appliances, they do so at the most inconvenient times and you need a dependable company that offers appliance repair in Las Vegas to get your appliances back in working order as quickly as possible, so you can get back to normality. When it comes to finding an appliance repair company in Las Vegas that you can rely on, look no further than Appliance Repair Experts. We are committed to providing appliance repair in Las Vegas that residents can depend on to get the job done right. Our technicians are trained to the highest standard and we use the most up-to-date tools, technologies, and equipment to return your appliances to their original working order. Our team of highly trained, professional and friendly technicians has been offering appliance repair in Las Vegas for more than 30 years. Through our top-rate services, personable approach and high-quality workmanship, we have earned a reputation as the go-to appliance repair company Las Vegas residents have come to rely on. Each of our technicians goes through a rigorous background check to ensure that they are the right person for the job and so you know you are always in safe hands. We repair and install all kinds of appliances for both our residential and commercial clients. 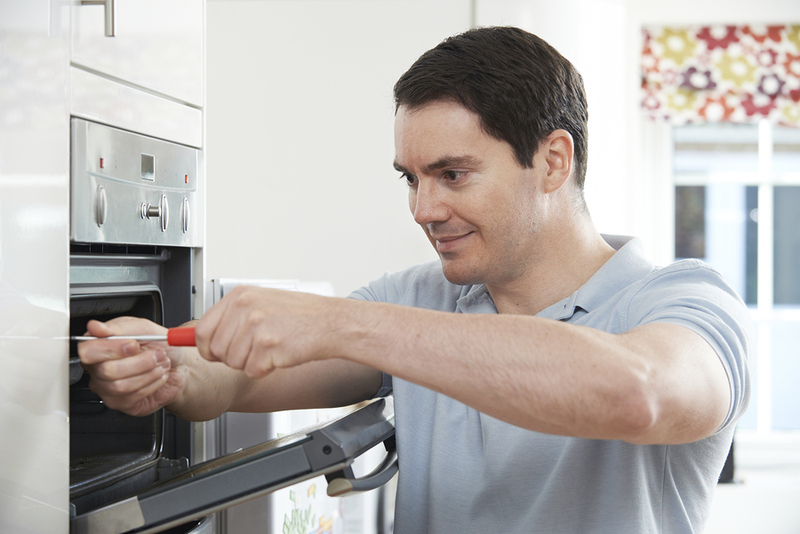 No job is too big or too small and no matter what make, model or brand your appliance is, you can rest assured knowing you are in the right hands with Appliance Repair Experts. We go above and beyond for our clients, offering extended hours from 8 am to 5 pm, Monday to Saturday so that you’re never waiting too long to get your appliance back to being fully operational. And, to further show our dedication to our clients and our commitment to our craft, we never charge extra for weekends or calls after 4 pm. At Appliance Repair Experts we always strive to deliver a top-quality service, using quality parts. Our dedication to always doing the very best that we can for our customers has brought us to where we are today. We are continuously developing our skillet, brushing up on our work with older models and we always stay up-to-date with current technologies and developments in the industry so that we remain one step ahead and ready to offer the best appliance repair service in Las Vegas. We are connected with the best vendors so that we always have the right part at hand to fix your appliance in as timely a fashion as we can. Using the best parts, we ensure that our expert workmanship is backed up by quality parts that will stand the test of time. With this winning combination, you can be sure that your appliance repair will last and you can save yourself time and money going forward by choosing an appliance repair company in Las Vegas that is dedicated to quality. With over 30 years of experience in appliance repair, you know that you are making the right choice with Appliance Repair Experts. Our dedication to quality parts and service, coupled with our vast experience, makes us the number one appliance repair service in Las Vegas. Trusted by the community and continually ranked as the top appliance repair company in Las Vegas, we are always ready to help you out with all of your appliance needs. Give our expert team a call today on (702) 515-1515 to organize a call-out or simply drop into our premises on North Decatur Blvd in Las Vegas and talk to our friendly and highly knowledgeable staff. Whether you need a new part for your appliance, want us to install your new appliance for you or are having problems with your existing appliance, we have the skills, passion, and know-how to get the job done right. Fully insured, licensed and dependable, our reputation speaks for itself.